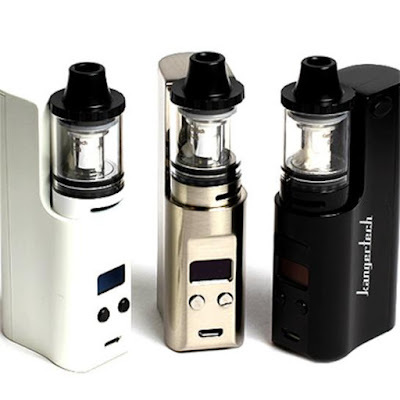 Home » juppi kit » kanger juppi kit » Kanger Juppi Kit, Which one would you like to try? Kanger Juppi Kit, Which one would you like to try? Kanger Juppi Kit comes with three colors, which one would you like to try? The Kanger Juppi Starter Kit come with the Kanger Juppi 75W TC Box Mod and the Juppi Tank.Kanger Juppi Box Mod is featuring with Nickel, Titanium, Stainless Steel 316 and Ni-Chrome wire ,and also it is a temperature control mode.the max putput power is 75W .Kanger Juppi tank support unique Juppi 0.2ohm atomizer heads ,features a unique coil structure creative design and features a 3ml E-liquid capacity glass tank with a easy top fill .